In 2017, the U.S. added 21 gigawatts (GW) of net electricity capacity. And 55% of that came from renewables — namely solar and wind. 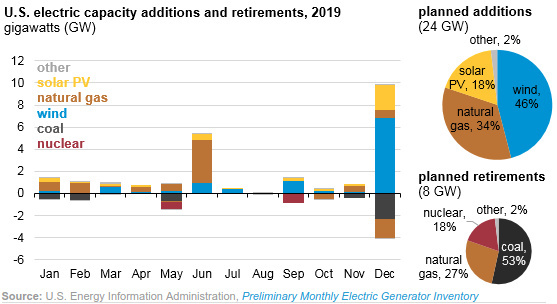 In 2018, the U.S. added nearly 32 GW of net electricity capacity. 36% came from renewables and almost all the rest from natural gas. The point here, obviously, isn't that solar is on the decline but rather that the sector is still seeing explosive growth even in off years and even after large subsidies have been removed. That fact is further evidenced by the rapid solar revolution that's taking place overseas. 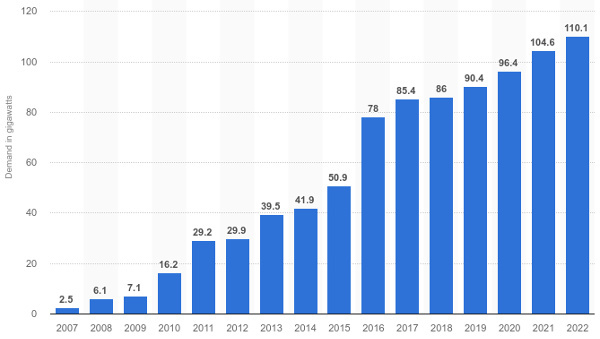 China is at the forefront of the trend, and is well positioned to capture a lion's share of the business of building and installing new solar capacity. As an early 2019 report from the Global Commission on the Geopolitics of Energy Transformation stated, "No country has put itself in a better position to become the world’s renewable energy superpower than China." And the trend will only deepen. China's National Development & Reform Commission (NDRC) has written a draft policy that would increase the renewable energy target from 20% to 35% by 2030. According to the IEA, China will account for over 40% of global renewable capacity expansion from 2018 to 2023. This is something that China — a country suffering serious health and quality of life issues due to its rabid coal consumption — is serious about. India is in a similar situation. New installations in 2019 will reach nearly 14 gigawatts, which is about 50% more than the capacity added last year and an all-time record. This is all part of a $100 billion government investment plan. Meanwhile, Australia is on track for 50% of its energy to come from renewables in 2025, largely thanks to solar power generation. Outside the Asia-Pacific region, oil-producing powerhouses of the Middle East are going green, too. Over the past six years, Saudi Arabia has announced investments of more than $350 billion in renewable energy. As you can imagine, the vast majority will be solar. The UAE is planning to generate the vast majority of its electrical energy from solar and nuclear by 2050. Sheikh Mohammed bin Rashid, vice president and ruler of Dubai, wants solar panels on every roof by 2030. The Dubai Clean Energy Strategy is aiming to provide 7% of Dubai’s energy from clean energy sources by 2020. And it will increase this target to 25% by 2030 and 75% by 2050. Kuwait has also announced plans to generate 15% of its energy needs via renewable sources by 2030. It's pretty much an arms race at this point, with all these oil-producing countries racing to build capacity. Indeed, with oil on its way out, their ultimate goal is to generate so much solar power that they can export it and continue dominating the energy market the way that they have for centuries. So, how could you profit? First Solar (NASDAQ: FSLR) is a standard. It's been very active in the U.S. In 2017, the stock more than DOUBLED in value, soaring 110%. Share prices have since slid back to more reasonable valuations, making it a good time to establish a position. Better still, the company's profits are rising due to huge increases in efficiency. It's squeezing more energy from each panel installed and cutting costs on installations. Production, sales, and earnings all beat expectations last year. Bookings ended 2018 at 5.6 GW, or nearly two years of full production. And that is in spite of 2018 being more of a transition year because the company is rolling out its new line of solar panels. Regardless, First Solar is one of the largest, most consistent, and most profitable solar companies in the sector. Its long-term prospects remain exceptionally bright. 2019 guidance from the company is largely in line with 2018, but it expects a jump in sales and a decrease in costs from new Series 6 sales. Series 6 sales are expected to increase about 75% while module cost per watt per quarter is expected to drop 10%. 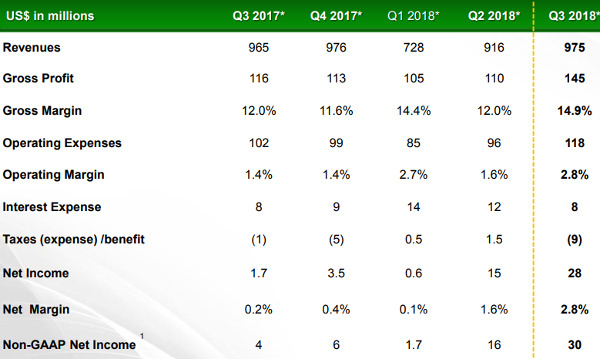 This transition is a great time to pick up shares of the company before its earnings reports reflect these improving numbers. JinkoSolar Holdings (NYSE: JKS) is another good option if you're looking for exposure to China. The company specializes in low-cost production and supply of solar panels with operations spanning Europe, North America, and Asia. It's the third-largest solar module producer in the world. It has a vertically integrated solar product value chain, with an annual capacity of 9.2 GW of silicon wafers, 6.5 GW of solar cells, and 10.0 GW of solar modules. In addition to large capacity increases, Jinko Solar is also starting to rebound nicely from a sector-wide pull back in financial markets from the end of solar subsidies and other market forces. We expect this trend to continue. Another company we like is Vivint Solar (NYSE: VSLR). Vivint is a small company with a market cap of just $570 million. 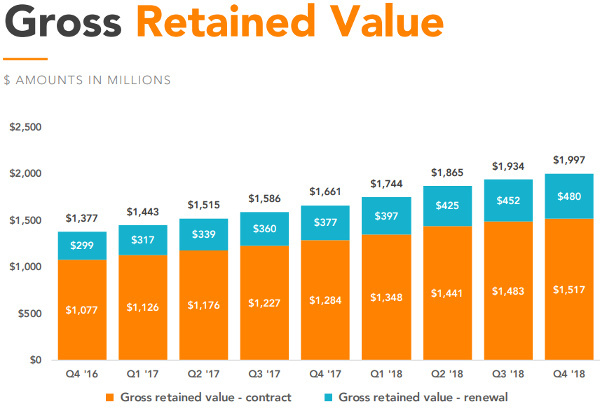 However, it's still one of the top residential solar installers in the U.S. Basically, the company signs customers to long-term leases or power purchase agreements, creating a stream of cash flows that can last 20 years or more. However, Vivint is a turnaround play. Tariffs on solar cells and modules from China hurt the business and an allegation of unfair business practices in New Mexico didn't help. While the company has posted some drops in revenue and missed earnings estimates, it is reducing the cost per watt of its installations and expanding sales reduce the risk from interest rates and customer defaults. Operating expenses are decreasing as well. The company is on track to turn around and post improving numbers, which will dramatically boost share prices. And these are just three companies in a bustling sector. You might also want to consider the Guggenheim Solar ETF (NYSE: TAN). It offers exposure to a wide range of solar companies, diversifying investors' exposure. Whatever you choose, you'll want to get in on the solar phenomenon. It's the future of energy.